voicemails, for all your numbers - in a single app. 100+ Billion Calls Managed. 100+ Million Active Users. With innovative mobile services offered to carriers in 46 countries around the world, InstaVoice has been transforming the voice landscape. 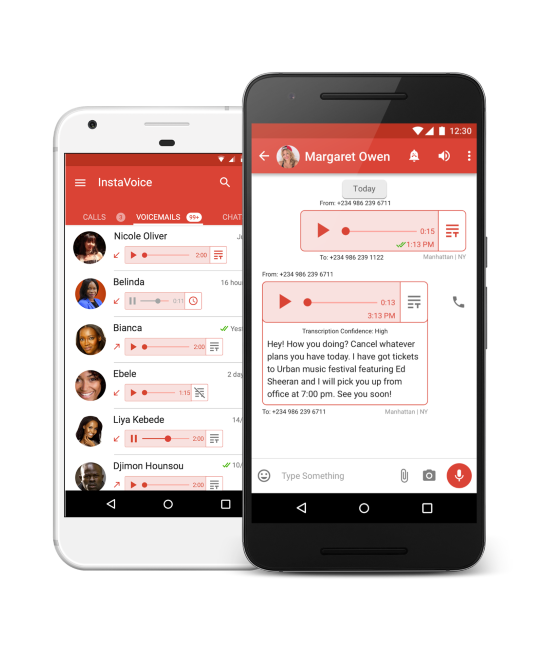 The InstaVoice app is a birth-child of creativity, knowledge and experience, from the inventors of Voice SMS, built on the premise of providing a sturdy and reliable voicemail application for consumers around the world. Sign up with InstaVoice, by providing your primary mobile number. Follow the simple instructions given in settings page to configure Voicemail services. 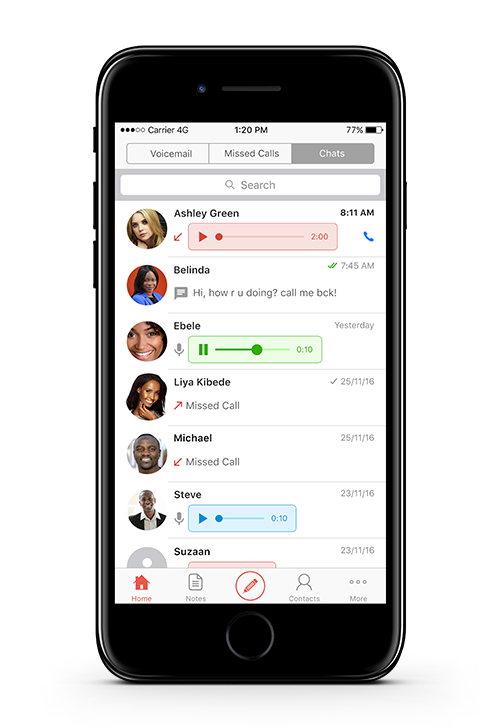 View your missed calls, voicemails and voice messages, in a neat, visually pleasing interface. Respond to alerts with voice, text or images - even if the recipients do not have the app. Listen, reply to, and manage unlimited voicemails for all your linked numbers in a unique chat-like user interface. Say good riddance to ‘Your-voicemail-is-full’ messages! With unlimited storage, you can access all your voicemail messages from the past - even if you switch carriers. 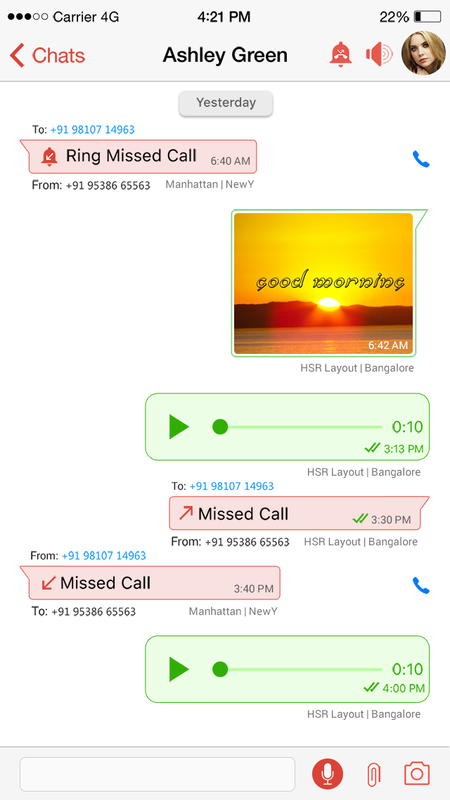 Get free Missed Call Alerts for all your linked numbers, even when if your phone is switched off or unreachable. 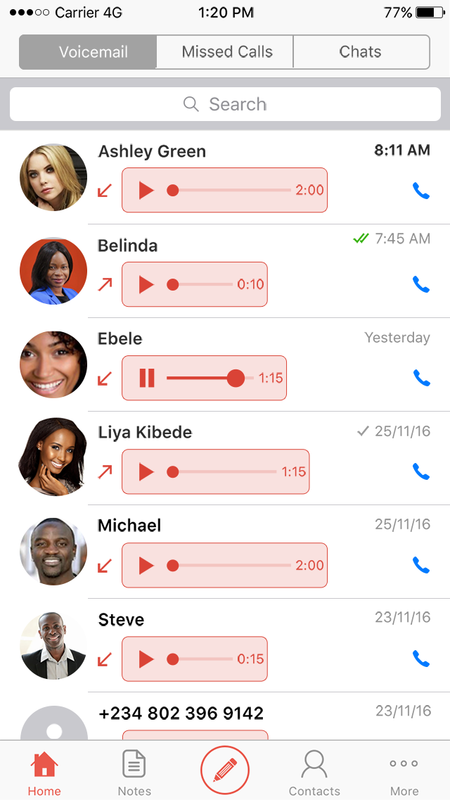 Your missed calls appear in the “Missed Calls” tab and you can call back or respond with a voice or text message, directly from the app. 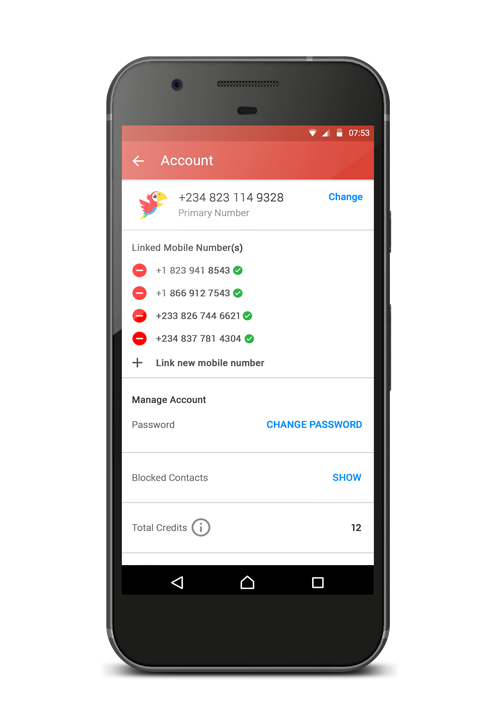 Link your multiple numbers to a single account and manage missed calls, voicemails and voice messages for all your numbers, directly in the app. 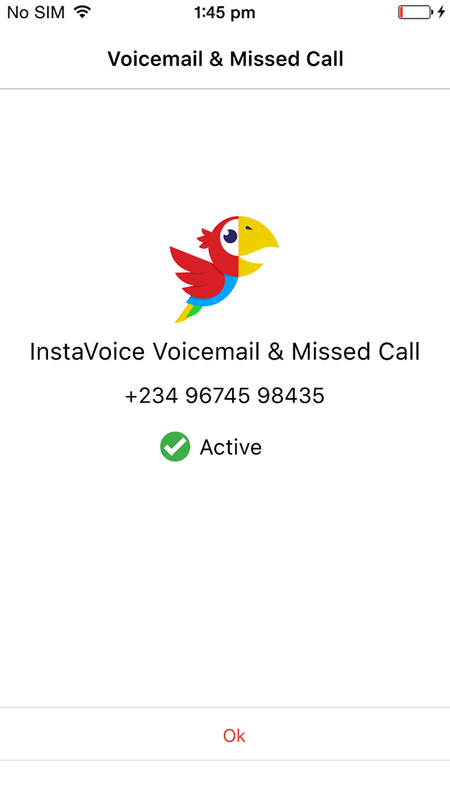 InstaVoice lets you link up to 10 numbers to one account and gives you missed call and voicemail alerts for all numbers from any device. 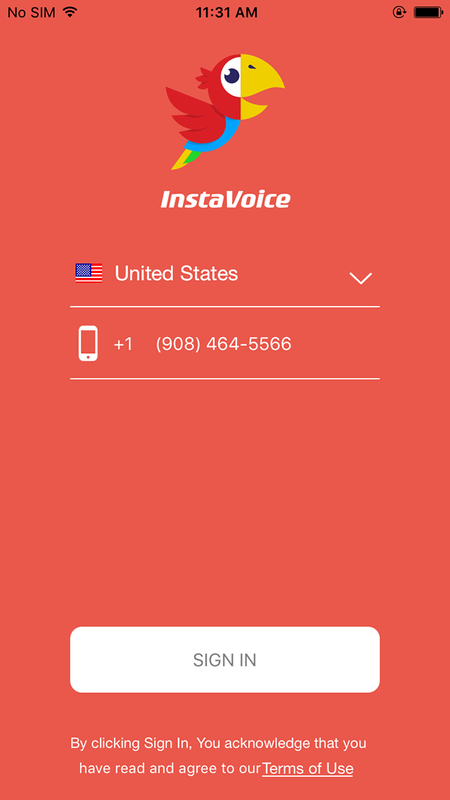 InstaVoice can convert your voicemail to text messages with the new voice-to-text transcription engine. Now you can read your voicemail messages at a glance during meetings! Voicemail transcription currently supports English (US) language and is available by default for US, UK, and Canada. Sent something in a haste? No problem! 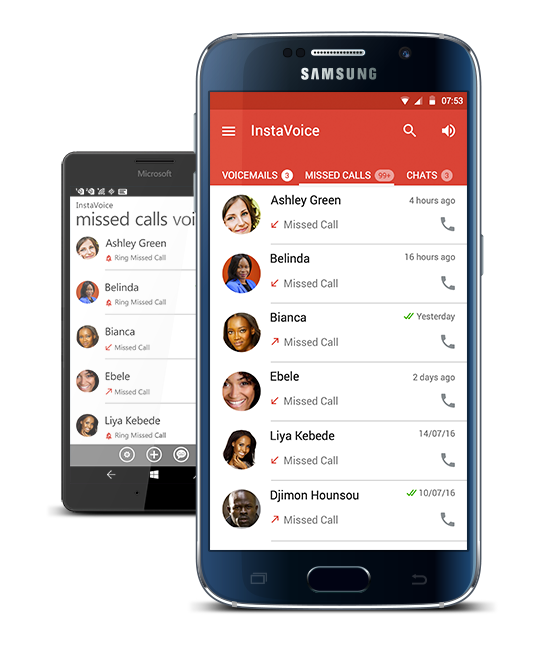 With InstaVoice, withdraw outgoing voicemail sent from the app. 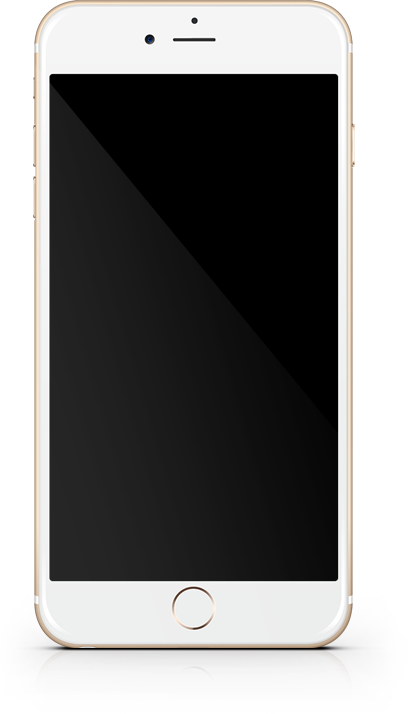 Once withdrawn, the voicemail is deleted from the recipient’s device. 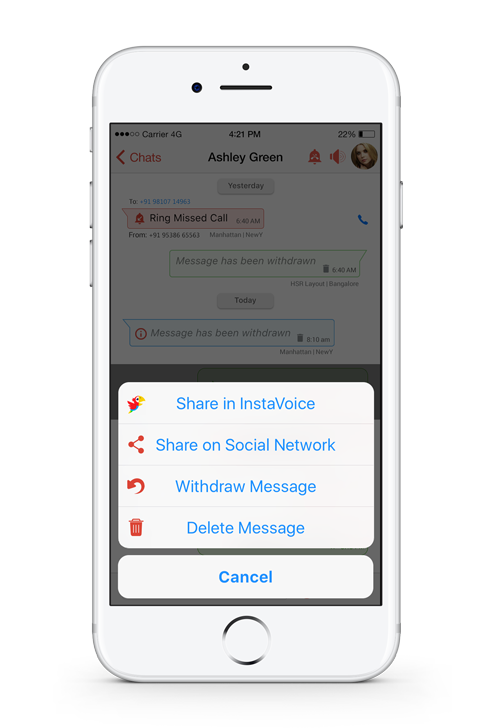 Not just outgoing voicemail - InstaVoice lets you withdraw sent pictures, text and voice messages as well! Goodbye uncomfortable situations! Add a personal touch to your voicemail greetings for that special someone or your buddies from work! Set personalized voicemail greetings for an individual or a group of callers! Forgot your phone? No problem! InstaVoice delivers your voicemail straight to your inbox. Enjoy synchronous access to voicemail across multiple devices including your phone, tablet and laptop! Send free text, image & voice messages to friends even if they are not using InstaVoice. Not just voicemail, you can withdraw sent texts and pictures as well! Keep your voicemail data forever with unlimited storage even if you switch carriers! Necessary for multi Sim phone Finally an application solving my multi Sim problem: carrier voicemail was always broken. The application is really easy to use, all is configured quickly with a simply step by step. A little more harder to find how to add the second phone number... But in the end is working. I discovered a problem with message playing inside the application and I even tested the support service behind the app: they are over the top! With a couple of mail they found the problem and delivered the new version...In some browsers you may need to activate the autocomplete function for this to work. The support fixed my issue in no time! I had issues getting my voice mails on my one plus 3 and notifications and issues got resolved after InstaVoice excellent support!!! Download the app, and sign-up with InstaVoice. Access Voicemails and Missed Calls from Anywhere! Need help with using the InstaVoice app? Have a great idea for the next version of InstaVoice?